Kitchen witches of yore, are you too busy with job, travel, and family to gather all the specific ingredients and measure and concoct the proper potions for your spells? 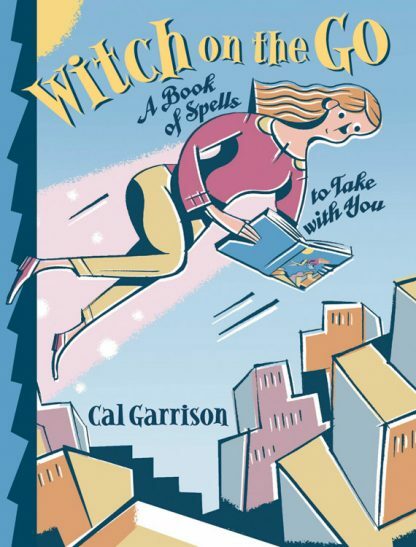 Here's Cal Garrison to the rescue with a book to match your new on-the-go lifestyle. "When your life is full," Garrison writes, "you don't have time to honor the Great Mother in the traditional ways any more. At first this bothered me. Then I figured out that magic is everywhere, all the time, in everything we do." And so Cal Garrison wrote this book as much for herself as for anyone else. Witch on the Go has the incantations and simple, easy instructions for casting spells for love, money, and more while you are stuck in traffic, flying to Aruba in the middle of the winter, and unwinding after another long day. Your spell practice doesn't ever have to be left behind because you are constantly on the move. Just remember to pack your Portable Spell Kit and take it with you wherever you go. * Coffee is used in spells where there is need to hasten or speed things up. You can get it "to go" or brew it yourself. * A rubber band and the Rabbit Rhyme combine to bend time. Stretch out a rubber band and say: "I'm late, I'm late for a very important date. But time does not exist and can't control my fate." * Even animals work their magic--seeing pigeons is a sign that it's time for a witch to find her way back home. Witch on the Go is the perfect companion for the active witch. With the Portable Spell Kit and Garrison's spells, any witch is ready to go.